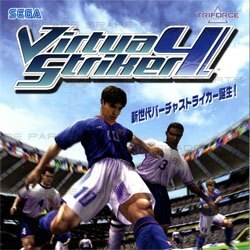 Following on from previous editions of the popular series, Virtua Striker 4 holds a great array of extras for the casual and core player base. 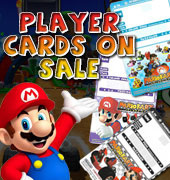 Incorporating Sega's Player Smart Card technology the depths and diversity of the game are extended massively. 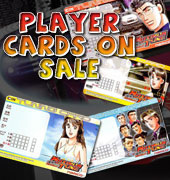 The game has 1044 real players, where the players are realistic and recognisable, from 36 countries to choose from. There is also extra buttons for the player to adopt, all of which add to the games realism. With the added tactic buttons players can select team formation and strategy, and select offensive or defensive. They allow the player to select team formations, strategies and defensive or offensive play. Also a new 'Dash' button gives players a boost when most needed. Players progress through the divisions, starting out in entry league and playing through through novice, amateur and professional divisions in a range of promotional, exhibition and cup matches. If that was not enough new additions to the game the Smart Card allows the player to effectively become the manager and 'team manager' all of the players on his card. It allows the massive depth to the game to be explored to the fullest.